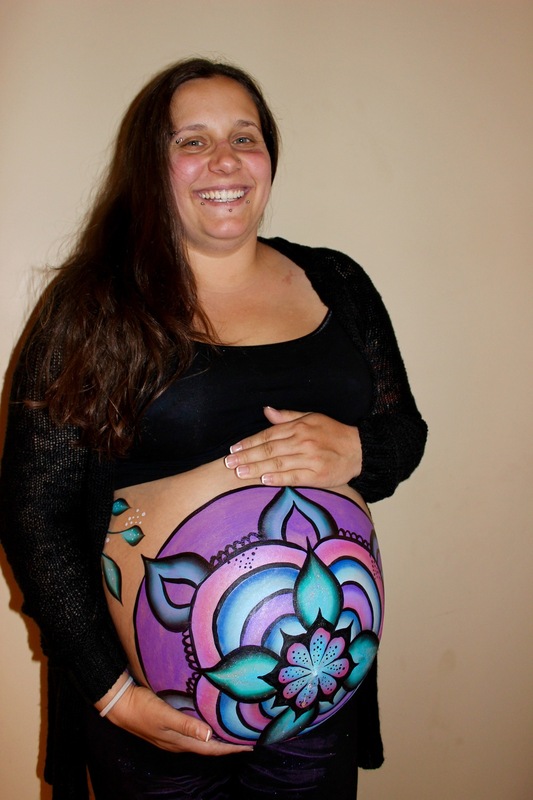 Looking for the best prenatal belly painting in Vermont? Look no further! Celebrate your pregnancy! 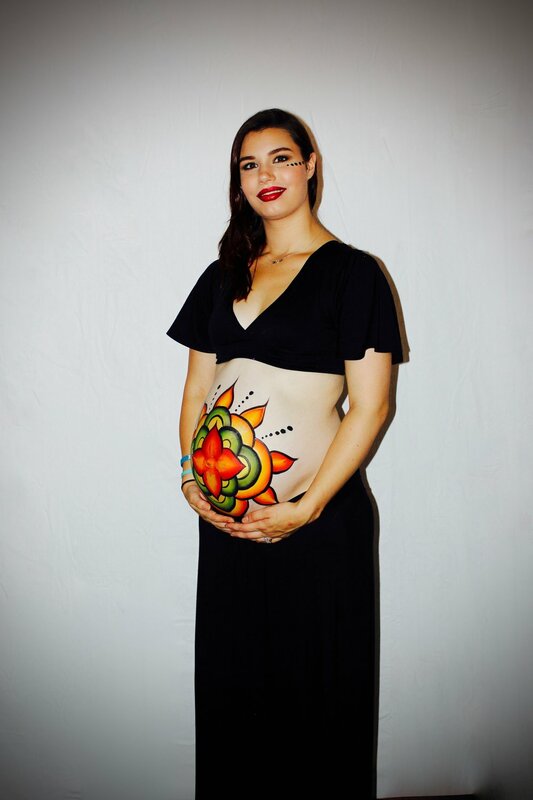 Whether you are interested in Private belly painting session, Baby shower party or Belly painting workshop with your spouse, partner or a friend we are here to make sure you have a very special time! 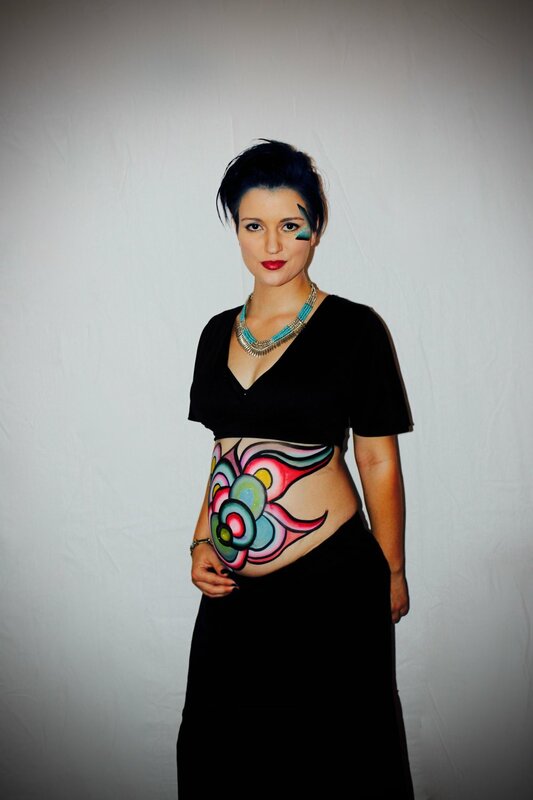 The body painting artist Kadina offers various ideas and beautiful designs. 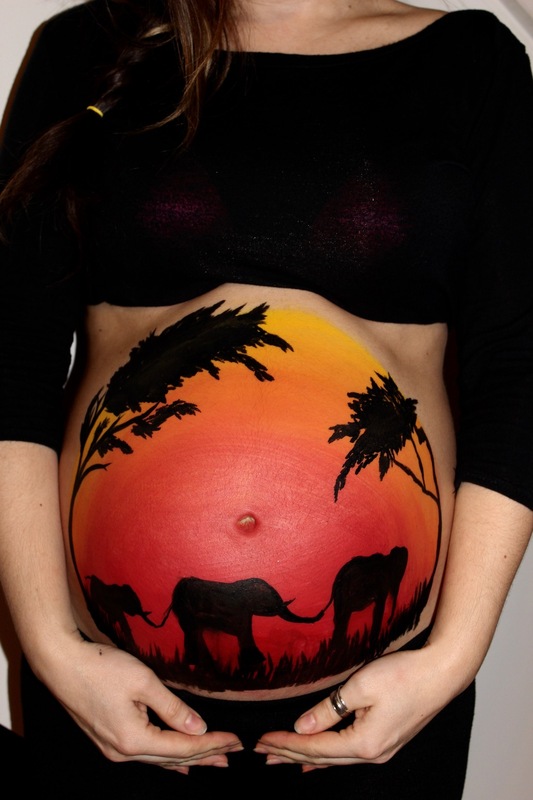 She will also paint anything you desire and work with you on how to visually portray the inner beauty of your pregnancy. 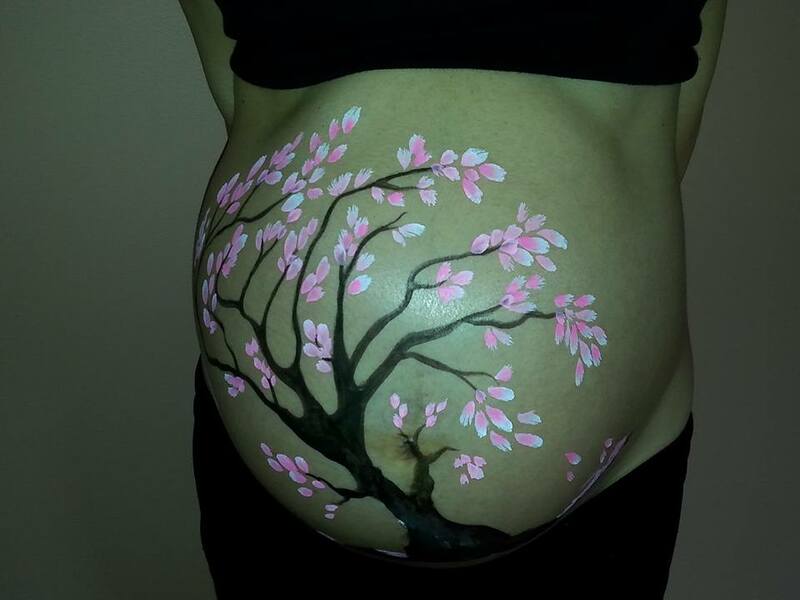 1.5 hour - Prenatal Belly painting - Burlington area $150 1.5 hour - Guiding a Partner - Burlington area $150 All of All the supplies are included. Studio fee NOT included. The artist can come to you or choose to join us in a private setting of a beautiful studio! 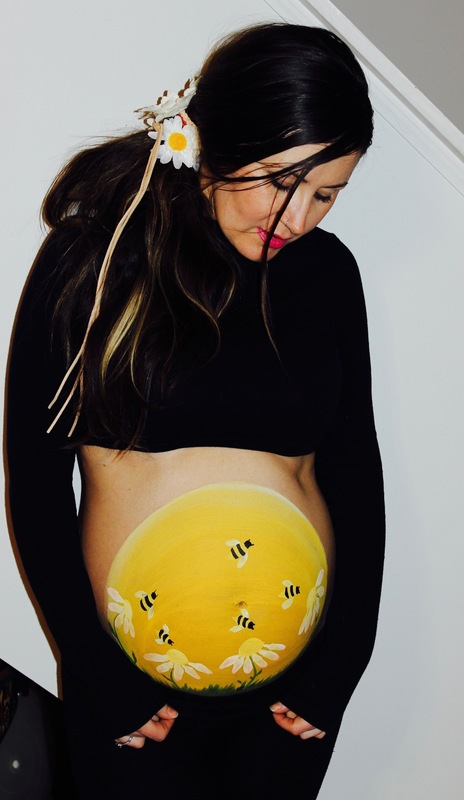 "Paint my Baby Bump One-on-One"
This is a super fun two hour belly painting workshop available for couples or groups. 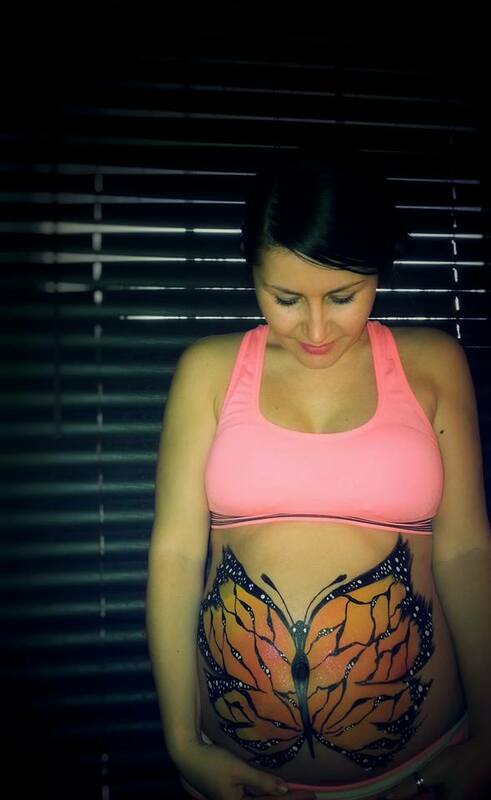 The body painting artist Kadina introduces your guest/partner to her favorite belly painting art techniques, then guides your guest/partner step by step through the process of belly painting using safe, non toxic, high quality, FDA approved body paint. No experience necessary! 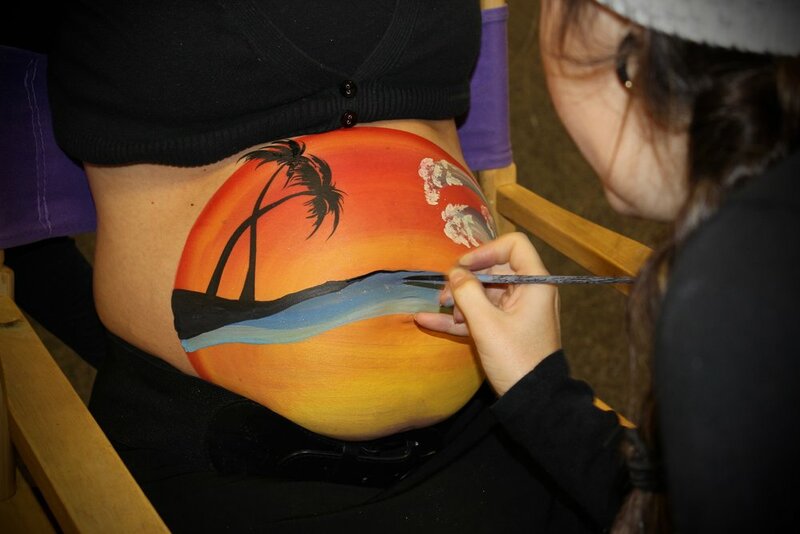 "Paint My Baby Bump" workshop is a beginner friendly, but all skill levels are welcome! The goal is to, celebrate your pregnancy, bond with your baby, learn a new form of Art, explore your hidden talents and most importantly relax and have a good time!